To our existing patients we are grateful for the opportunity to be of service. We value the trust you place in us as we treat your needs. If you are considering becoming a new patient we would like to extend a sincere and warm welcome. Drs. Barry Darocha, Susan Rotzal and their dental team at Dynamic Modern Dentistry are committed to providing you with personalized, contemporary and high quality dental care. Every member of Dynamic Modern Dentistry is highly trained. Our communication begins by listening carefully to your desires and building personalized treatment plans to fit your individual goals. Using only state-of-the-art techniques and procedures, Dynamic Modern Dentistry is determined to make your visit pleasant and also relaxing! Our extensive commitment to education allows us to provide comprehensive dental care from routine general and restorative to complex cosmetic and reconstructive dental services. Meeting the needs of the entire family. To accommodate busy lifestyles, Dynamic Modern Dentistry has convenient office hours. For peace of mind, Dynamic Modern Dentistry also offers 24-hour emergency dental care services for patients of record. Education is part of our commitment to serving our patients. This helps to make informed decisions about your oral health needs and treatment. We encourage you to visit our dental videos page which contains a library of related topics for many of the procedures and treatment options we offer. We hope our websiteis helpful to you in learning more about our team, commitments, practices, dental conditions, treatment, options, recommendations, payments & insurance and more. Please browse through our website and be sure to give us a call @ 215-885-4252 if you have any questions or would like to schedule an appointment. You may also use our online appointment request form to schedule your appointment. It's perfect every time O vosot. 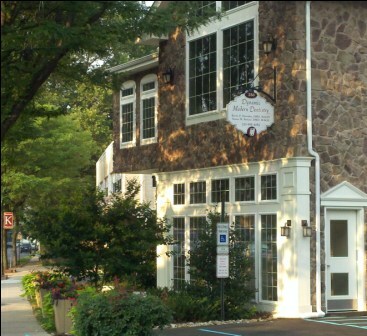 Glenside, PA dentists, Barry Darocha, DMD & Susan Rotzal, DMD provide general dentistry, cosmetic dentistry and orthodontic services that include: General Dental Exams, Dental Cleanings, Braces, Veneers, Emergency Dentistry, Crowns, Bridges, Dental Fillings, Root Canal Therapy, Periodontal Treatment, Children Dentistry, Oral Surgery & Sedation Dentistry.